Our company is popular in the field of manufacture and export of Field Monitoring Testing Equipment. In which includes Centre Hole Load Cell, Instrumented Rock Bolt and Pull Out Test Apparatus. 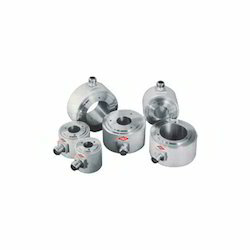 Manufactured in accordance with the set industrial norms and guidelines, the offered Centre Hole Load Cell is of optimum quality. Offered in the market at the best rate possible, the offered product has a high demand in the market. Owing to the highest grade of raw materials and modern machines used in its making, the offered product has a longer lifespan and a highly commendable functionality. Having RH thread to suit Test Rod on one end and LH thread to suit 20mm dia Rock bolt on the other end. Having RH thread to suit Test Rod on one end and LH to suit 25 mm dia Rock bolt on the other end. Having RH thread to suit Test Rod on one end and LH to suit 30 mm dia Rock bolt on the other end. Having RH thread to suit Test Rod on one end and LH to suit 32 mm dia Rock bolt on the other end. 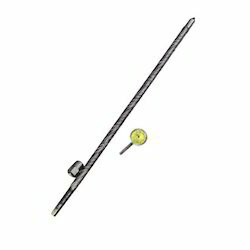 Provided at the best rate possible, the offered Instrumented Rock Bolt has a high demand. Manufactured in compliance with the set industrial norms, its quality never deteriorates. Owing to the highest grade of raw materials used in its making, the offered product has a longer functional life and a highly commendable functionality. Leveraging on our state-of-the-art infrastructural unit, we have been a reputed manufacturer of Truck Mounted Drill Rig to our widely spread clients. 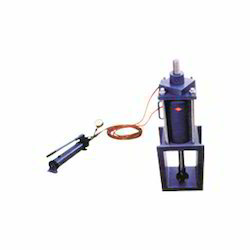 It can be used to complete well drilling with the direct circulation method for water well drilling constructions, cement paste (water) grouting holes, monitoring holes, the geological coring drilling, and the blasting holes. Truck Mounted Drill Rig is a powerful rig of comprehensive drilling ability. It is mounted on a 6X4 or 6X6 off-road vehicle chassis.